Chesterfield County, Va.— Agreement has been reached to build a 600-unit urban-style apartment community in Stonebridge, an 83-acre mixed-use project in one of Chesterfield, Va.’s key retail-business corridors. The endeavor brings together Charlottte-based Crosland Southeast; Hartford-based Hutensky Capital Partners, the developer of Stonebridge; and Virginia Beach-based Boyd Homes. The $60 million-plus apartment community, which will be designed to integrate into the rest of Stonebridge, will spread across four buildings. Residents will be able to select from studio, one- and two-bedroom apartment homes featuring balconies that open onto interior courtyards. Expected to break ground later this year, the development is slated for occupancy starting in the middle of 2014. Stonebridge is the 400,000-square-foot, $100 million mixed-use redevelopment of the vacant Cloverleaf Mall in Chesterfield, just southwest of Richmond. The redevelopment features a brand new 123,600-square-foot Kroger Marketplace that opened last month, as well as another 27,000 square feet of retail now under construction. Residents of the new apartment community will be able to walk to shopping, entertainment and office settings in Stonebridge. “Stonebridge is well located to give it easy access to all of the south side and west end of Richmond, including multiple office parks within just a few miles,” David Rudiger, president of Boyd Homes, tells MHN. According to Rudiger, expediting the completion of the apartment community will be a key priority of the development partnership. “One of the largest challenges will be to deliver a high-quality product in a short time frame, in order to capitalize on the market excitement about the projects and the favorable financial rates currently available,” he observes. 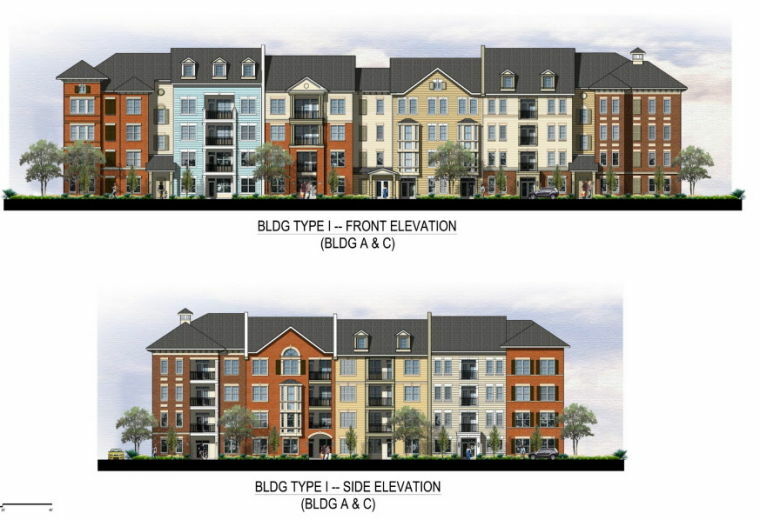 The apartment community will help round out the development at Stonebridge, Rudiger adds. Residents will comprise a substantial portion of the customer base for the many shops and restaurants in the development, helping deliver excitement and economic vitality to this corner of Chesterfield County, he notes.